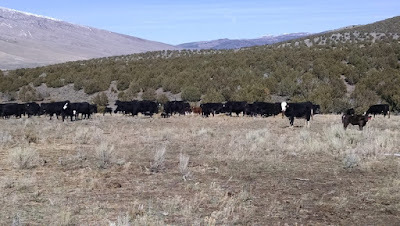 Went for a drive today through all the cows & calves to check on everyone and make sure they're all healthy and doing good. It was sunshiney, but still enough of a breeze that you have to wear a coat, hat, and something to cover your ears. You gotta love it though when everyone is feeling good and running and bucking around. 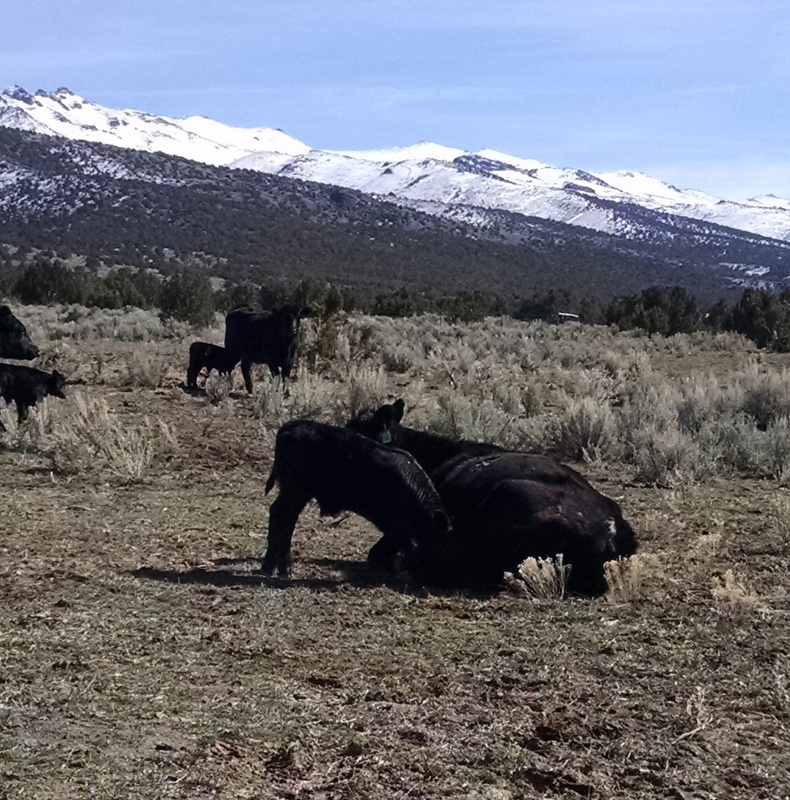 All spread out on the feed ground on the dry farm. Something about the cedars that cleans them up and makes their coats look better. Another new baby with some color. Got about 75 left to go. This guy was getting his lunch in even if Mom wouldn't stand up. We've been hitting the roads delivering bulls and heifers to their new homes. 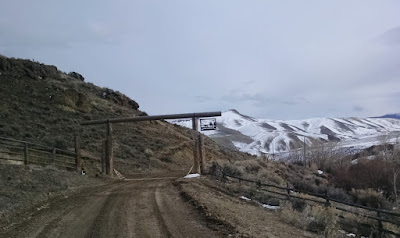 It's always fun to get to see new parts of the country and check out how other people work their operations. 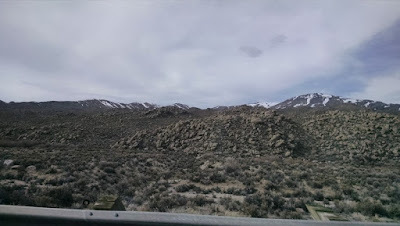 We made a run to Paradise Valley, Nevada by way of Winnemucca. 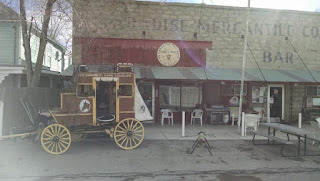 You could tell there was a lot of history as you drove down the main street there! 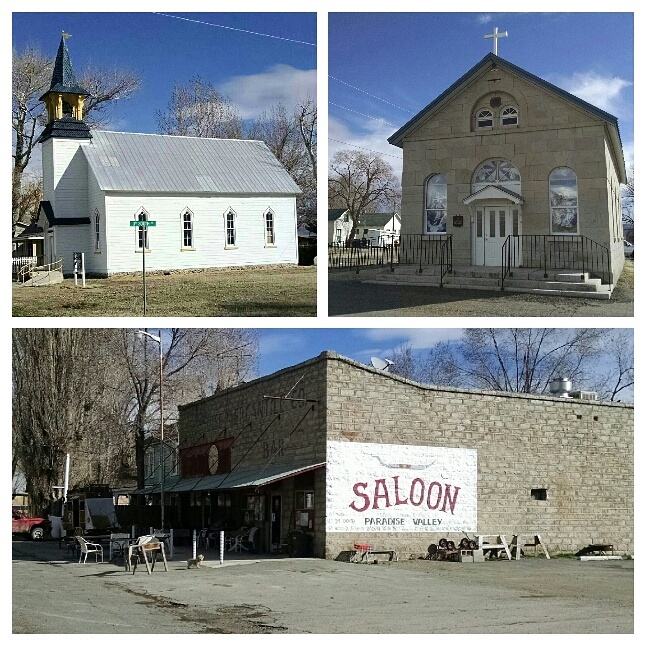 Two Churches & a Saloon..What more could you need? You could make a western movie here. 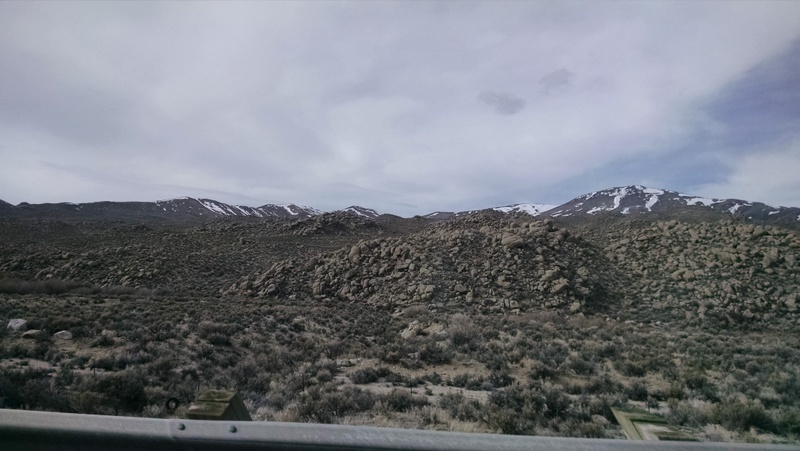 Miles & Miles of Rocks & Sagrebrush through Nevada. Looked like they got some snow too, so maybe grass will be good this year. 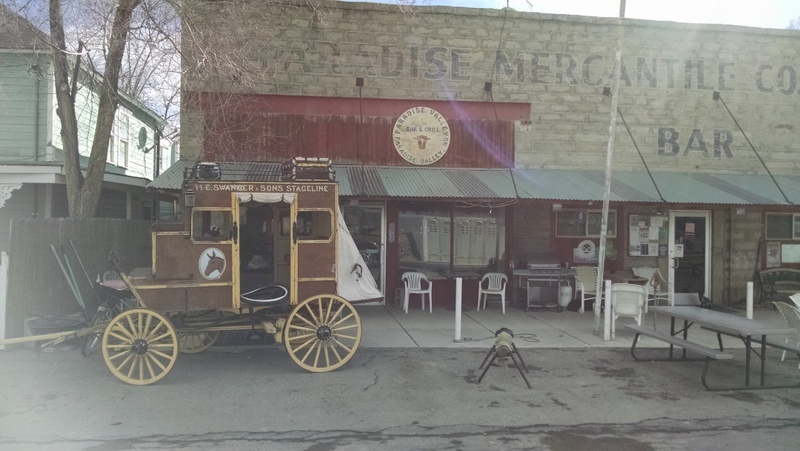 We headed to Pocatello, Sugar City, & last stop was Lemhi. They still have winter there. Beautiful country to visit...and good people too! 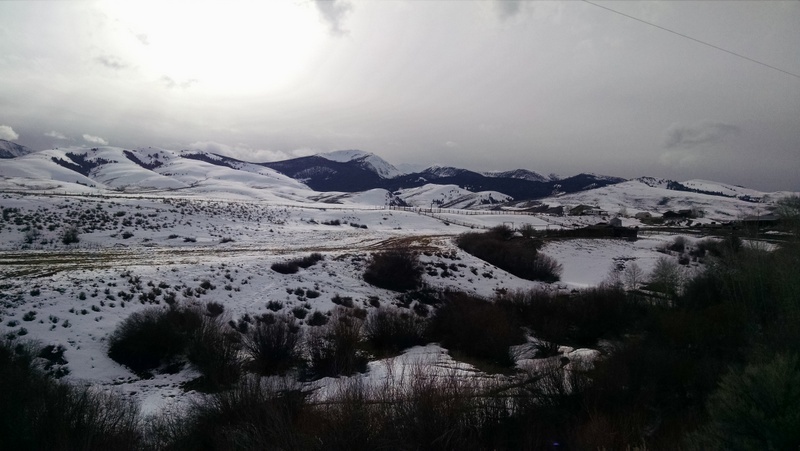 Nice view headed out of the ranch on Basin Creek Road. We're going to head for our hills where there's not quite as much snow right now! 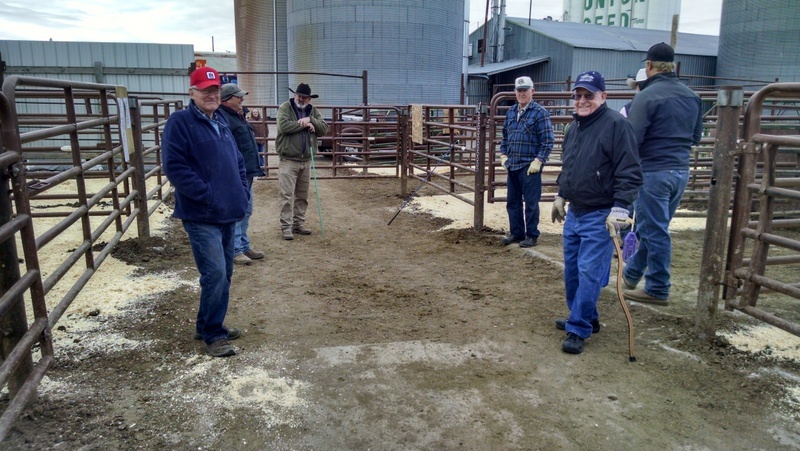 Another Barker Cattle Company Bull Sale is successfully completed! It's a nice feeling to be at this point. Tom is on the road delivering to buyers, Ruel is hauling home others that need to go to their destinations soon, and Braden is back to business at the ranch catching up on all the tagging that needs to be done. 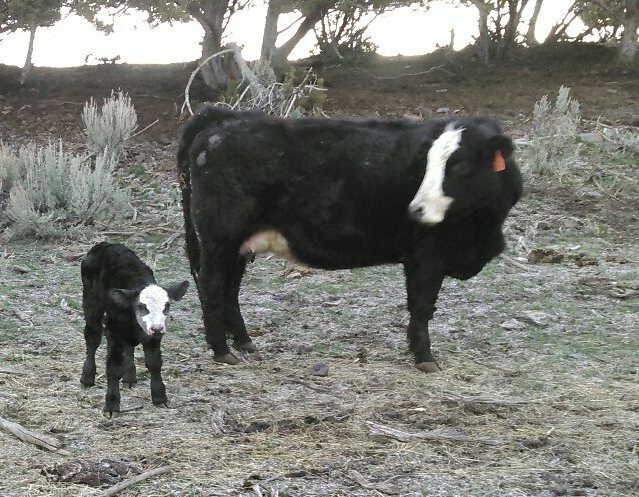 We've had 2 more sets of twins in the past week. The Sale was a huge effort with many helping hands from family and friends that was very much appreciated. You don't realize all the little details that have to be taken care of in order to pull off something like this until you've done it yourself. A BIG THANK YOU to all those who pitched in and helped us in those many stations that needed filled. We were very grateful to have nice weather and the parking lot and seating area filled up well. We heard many good comments from past buyers regarding their past purchases and welcomed quite a few newcomers to our sale. Now we'll settle into life as we know it for a while! Many walks up and down this alley all day long pushing the bulls & heifers. Office crew: Thanks for the new program Tammy! Tom & Tyler both were kept hopping with the phone lines ringing. This is trouble! Barker Boys...what are you up to? Lunch ladies...It was yummy as usual. Thanks Kay, Ann F, and Talee O. It's time for an Auction! Good to see those seats filling up. A lot of "bull talk" going on here! Getting a better view of them.